The Pork Ribs were absolutely sensational. Starting with the pork, you could literally pull each rib off the rack. The tenderness and softness of the meat was undeniably delicious, and simply just melted in your mouth with each bite. With a good pork flavour throughout, I made my way through the pork ribs rather quickly. Onto the Beef Ribs, which were no less spectacular than the pork. Huge chunks of protein barely clung onto the bone, and was easily separated with the stab of a fork. Pulling apart the protein, the meat was again so juicy and succulent. The slight bits of fattiness amidst the meat definitely added extra bursts in flavour. Unfortunately, the ribs were slightly overpowered by the barbeque sauce smothered on top. 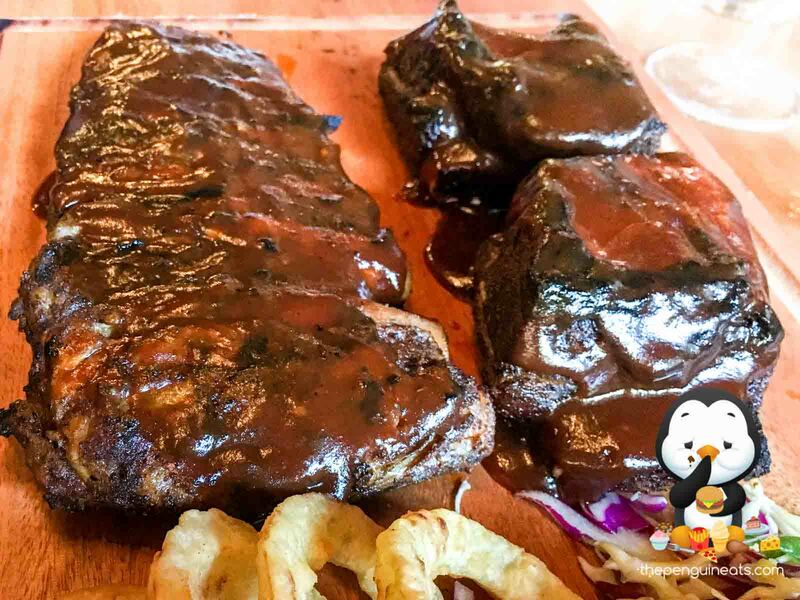 While some sauce would normally be nice and greatly appreciated, it was much, much too sweet on this occasion and distracted away from the quality of the ribs itself. The Cabbage Salad was rather unimpressive. The vegetables within weren't the freshest, nor did the slight zing in the sauce provide enough flavour for a mountain of rather dry, raw cabbage. The onion rings were downright terrible. Dense, hard batter that is comparable to eating cardboard enclosed minute amounts of onion. It's like this was an absolute afterthought! 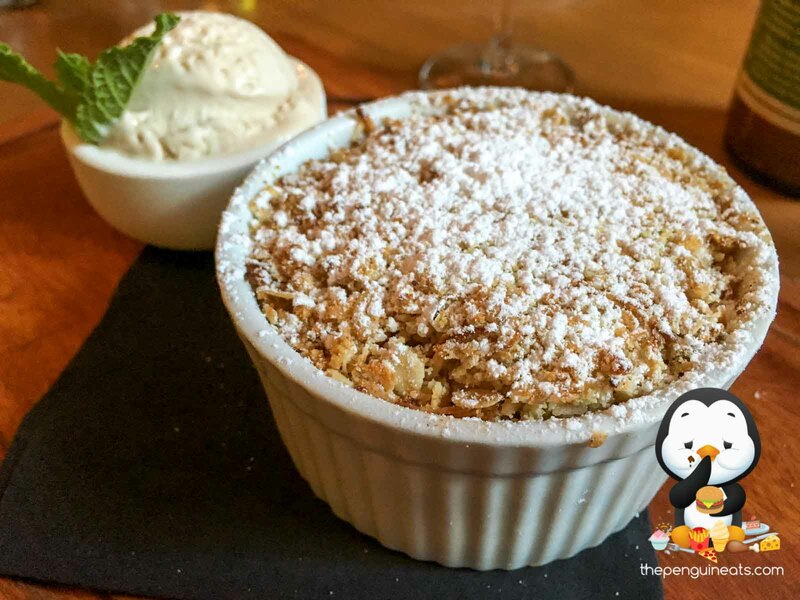 The Apple Crumble seems to have received just as little attention as the onion rings. Piping hot and rising with steam, it was clear from the beginning that this dessert came straight out of the microwave. The apples were plentiful, though dry and tough. The bits of crumble were moist and soggy. Highly disappointing. 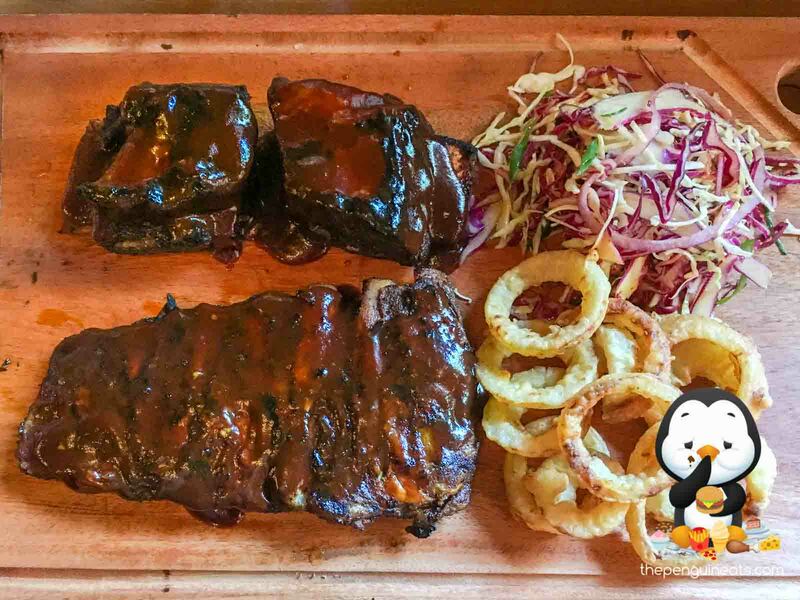 The meats here were simply amazing, and I would say it's some of the best ribs I've ever had, Melbourne or otherwise. The tenderness, juiciness and flavour were flawless and I'd happily devour more of those again. Other items though were shockingly bad, and honestly they really aren't worth your time, or your calories in that matter. I would absolutely be back for more of their ribs, but for anything else, most definitely not.